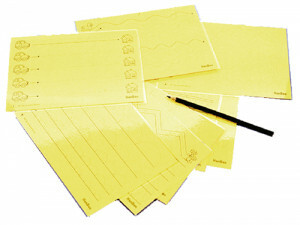 Ten laminated cards with different prewriting exercises on both sides, which increase progressively in difficulty. Easily reuseable due to its dry-wipe surface. Special pencil included. Presented in a transparent case.